Jim Morris is working on several improvements on the step generation in Smoothie, including removing on_gcode_execute and doing acceleration every step instead of on a fixed clock as we do now, as well as many other small changes. Jim Morris is planning on implementing 7th order acceleration into Smoothie. Chris Brent is working on implementing support for the Paneldue into Smoothie ( specifically the M408 G-code, which will also be useful for web interface projects ). This feature is more complex to implement than what one might think, and the need to actually implement it "cleanly" and discussion on how to do so, has delayed actual coding work on it. Jarek Szczepański is currently looking into implementing this, but any help is very very welcome. There is discussion of implementing this in this issue : https://github.com/Smoothieware/Smoothieware/issues/875 and [digiexchris https://github.com/digiexchris] is working on implementing it. There is a problem in Smoothie right now where SPI thermocouple boards is called in interrupts, when it shouldn't. Amongst other things it prevents using several thermocouple boards at the same time. Grey Christoforo has worked on fixing the issue here : https://github.com/Smoothieware/Smoothieware/pull/891 but his work needs testing. If you have a Max31855 thermocouple board, please test his work so it can be merged ! There is a planned refactor ( or at least an exploration to see if it would be practical ) of the "queue" system in Smoothie, that would make the code saner, would use less ram, and would allow for more performance/new features. There is some work that needs to be done in order to properly supporting automated tool changing. Arthur is planning on working on this sometime around July 2016. Any help is extremely welcome. A first step towards tool changing is to implement recursive file playing. Work on that is ongoing here. Roland Kamsika is working on adding support for the PT100 temperature sensors to the Smoothieboard. Work is nearly done, but nothing has been published yet. This would allow forwarding of Gcode strings to other Smoothieboards over serial, therefore allowing use of boards as "slaves". Lua is a very simple programming language. It's quite commonly used to add "scripting" support to applications. An idea that has been floating around ( for v2 Smoothie ) would be to experiment with ( we don't know if it's possible ) adding a LUA interpreter to Smoothie. It'd have to be simple enough that it doesn't take too much RAM, but if it were made to work, it'd add the ability to create scripts that Smoothie would trigger when it receives specific Gcodes, or when specific internal events occur. Those scripts could check for variables, send Gcodes internally, activate external peripherals etc. This would be an extremely powerful tool, but we don't know if it's feasible, and would like to find out. Smoothie2 is a port of the Smoothieware firmware to the Smoothieboard v2 hardware. Thank you so much Adam Green ! 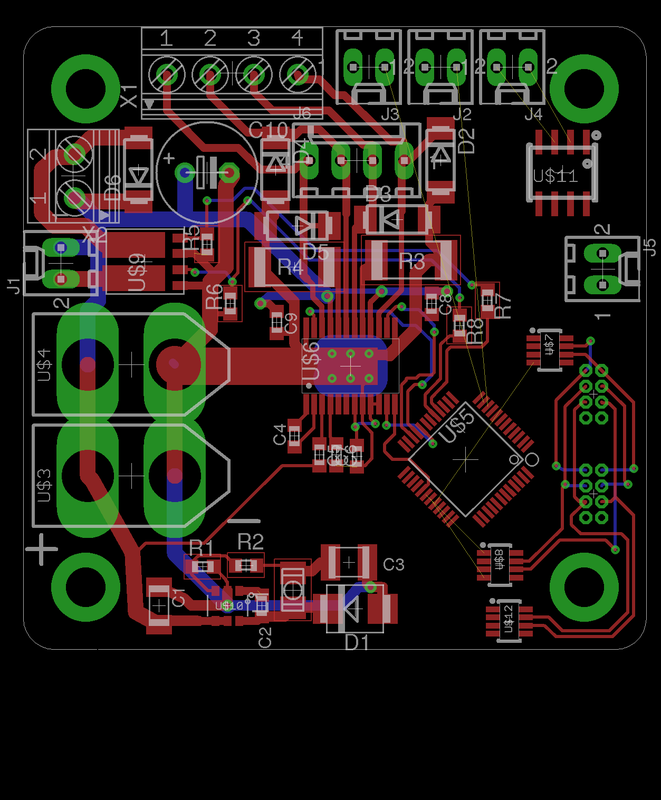 Mark Cooper is designing the Smoothieboard v2, v2-pro, and v2-mini boards, in Kicad, so that is pretty much covered for now. The boards are now in alpha, once the alpha board has been tested, a beta board will be designed, and the files for it will be published. At that time we'll need help reviewing the design. If you are interrested, contact us. Kliment Yanev ( of Pronterface and Teacup fame ) is currently working on this. Any help welcome ! We are working on synopses for a series of tutorial videos : https://github.com/Smoothieware/Smoothie-video-tutorials . We hope maybe we can get Thomas to work on these at some point. Jarek is working on an improved version of the current Smoothie web interface. Fabrica is a project for a simple to use, panel-type GUI to control Smoothieboards. It's web-based, has very ambitious goals, and is intended to be used on android tablets or smartphones, which are about the same price as the current LCD screens, but are much better. If you know Android and are interrested, don't hesitate to ping him.